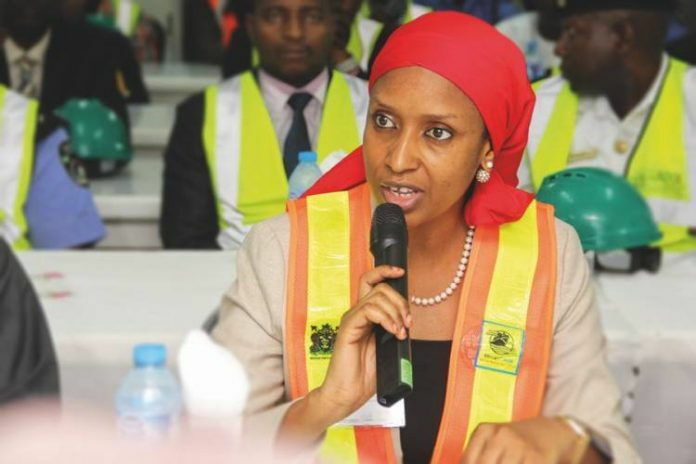 The Managing Director, Nigerian Ports Authority, Hadiza Usman, said the management would ensure that all outstanding payments and dues meant for the organisation were remitted by concessionaires and other stakeholders as quickly as possible. Usman said this on Friday in a statement issued by the Authority’s Spokesman, Alhaji Abdullahi Goje, after the Quarterly meeting of the NPA Management and stakeholders in Lagos. She said that the authority would provide an enabling environment for efficient port services in view of the vital role the maritime sub sector played. According to her, management has put in place a machinery at ensuring that there is a level-playing field for operators in the sector. Usman said that the management would ensure that rules guiding port operations were strictly adhered to. She told stakeholders that the NPA management had set up a committee to liaise with representatives of terminal operators with a view to reviewing existing concession agreement as planned. Usman said that NPA was determined to actualise the result within the shortest time. The managing director frowned at the attitude of shipping companies and terminal operators, who connived to litter the roads with empty containers under the guise of not having a holding bay. She said that sanctions would be invoked on erring oganisations that refused to obey rules guiding the directives after a one-week window. Earlier in her welcome address, the Port Manager, Lagos Ports Complex, Hajia Aisha Ibrahim, informed stakeholders that the meeting was a platform for NPA and its stakeholders to discuss the challenges of operational efficiency.